How small can we go with computers? 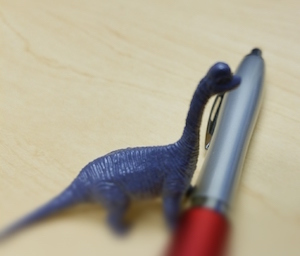 What happens as materials get as tiny as the dinosaur I’ve shrunk to the size of a pen? No dinosaurs were injured in the making of this image.